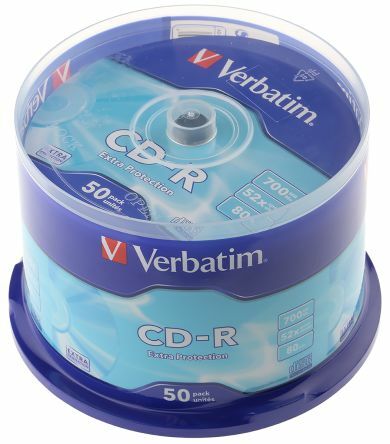 Find DVD, Blu-Ray and CD drives & discs as well as a full range of accessories, including media labels and storage wallets. RS work alongside top brands like LG and TDK to make sure you have the best selection of optical drives and products to choose from. Superior resistance to UV irradiation. 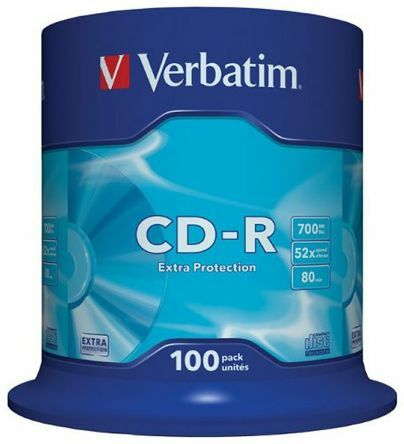 Archival Life: Extra Protection - up to 40 yearsLowest error rate against a range of CD writersCompliant with Orange Book Part II Version 3 specificationsCan be written on with a CD/DVD marker pen. 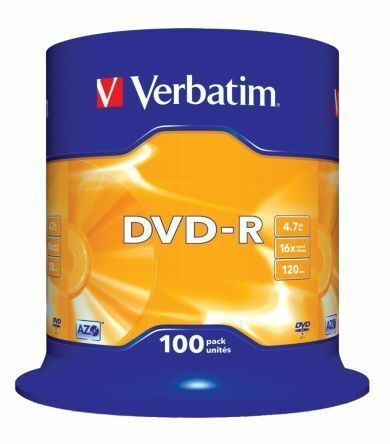 Verbatim DVD 16x recording disc with Advanced AZO technology ensures any recording to be of a superior quality. 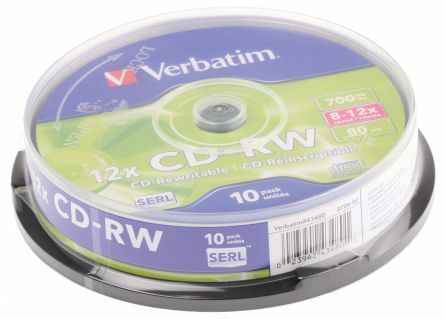 Ideal for sharing computer data, home videos, photos and music. 4.7 GBSpeed: 16xMade with Advanced AZO technology100 Pack spindleMatt Silver.